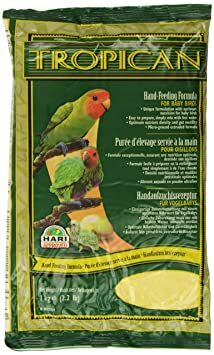 Passwell Hand Rearing Food is a nutrient enhanced hand rearing formula for all Parrots, Pigeons, Doves and Finches. 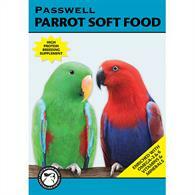 Passwell Hand Rearing Food makes up as a smooth, creamy consistency, ideal for crop-feeding. 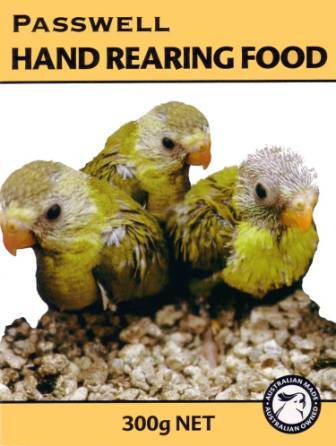 Tried and tested the very first hand rearing formula I ever used and it did a great job then and still does. Ive hand raised healthy zebra finches, Galahs, doves, Indian ringnecks, quakers to name a few and all had perfect feather and great condition. 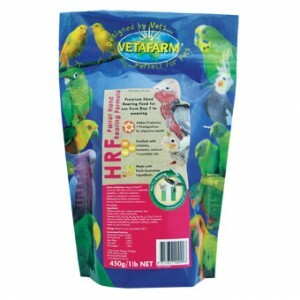 Nutritionally balanced, high protein formula that can be fed from hatching to weaning. Enriched with omega-3&6, vitamins and minerals for improved chick health. Easily prepared as a smooth, creamy consistency, ideal for spoon or crop-feeding. Processed cereals, whey and soy proteins, dextrose, maltodextrin, lysine, methionine, mannan oligosaccharides, β-glucans, vegetable oils, omega-3 and omega-6 fatty acids (including EPA & DHA), carotenoids, taurine, vitamins A, B1,B2,B6, B12,C,D3,E,K, nicotinamide, pantothenic acid, biotin, folic acid, choline, inositol, calcium, phosphorus, potassium, sodium, magnesium, zinc, iron, manganese, copper, iodine, selenium. 300g, 1kg, 2kg, 5kg, 10kg & 20kg.